Announcing PCOS Unlocked: The Manual: The First 50 go for 50! Today is the day! 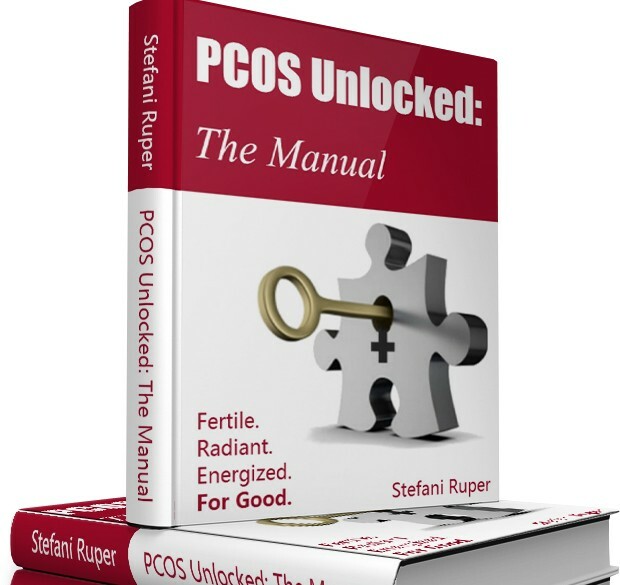 PCOS Unlocked: The Manual is available. I could not possibly be more excited. This is important information, and I’ve finally got it in an accessible, digestible, comprehensive package. Here we come, world! We’re healing PCOS holistically, for all women with as many different hormone profiles that we can possibly conceive of. I love this manual, and I think you will really love it, too. And, both because I’m so geeked about this release, and also because my birthday is tomorrow and I am swimming in a pool of effusive love, the first 50 copies of the manual are half off!! People started finding sneaky ways to buy them last night, so grab them while you can. I’m hoping very much it’s PfW community members who get the half price editions. So PCOS Unlocked is, essentially, my brain dump. It’s everything I know about PCOS and hormones, and synthesized in an organized way. PCOS Unlocked is a thorough explication of what PCOS is, and why you have it, and how to overcome it. Most importantly, in my opinion, however, is that it takes into account all of the factors that go into causing PCOS. Most medical professionals, alternative health practitioners, and authors of PCOS books only really account for insulin resistance as a cause, or focus on it to the point of exclusion of everything else. However: insulin resistance is not the only problem. Overweight is not the only problem. Not even close. Dietary and lifestyle problems abound. So in PCOS Unlocked, I address those problems. I share with you why and how they occur, and I teach you how to recognize them in yourself, both by looking at your diet and lifestyle and also by looking at your blood tests. I help you understand the shape of your PCOS, and I guide you through the healing process. I share with you the proper diet, but then I also describe specific strategies for eating and living that you might want to consider in light of which category of PCOS you fall into. So purchase the manual if you think it’ll help inform your brain and your life! I put many furrowed brows and beads of sweat and too late nights into the project the aim of doing so. I’d like to think I succeeded. I am of course receptive to your feedback, and excited to hear what you think, so please let me know in the comments here or via email at stefaniruper@paleoforwomen.com. It’s going up to 97 dollars as soon as we get to the 51st copy! If you want one, grab it! Or see it at it’s home, PCOS Unlocked: The Manual. So excited to read through this. Thank you for all of the amazing work you do and for sharing so generously with the world. I paid for it (half-price, thank you! ), but now I’m not sure how to download it. What do I do next? I just thought to check my email and found it. I’m sorry! I too also wish I had the extra $50 ($97), but alas I have a college student budget. Maybe I can try to pol some resources together. Thanks again for all that you do for the paleo/woman community! Oh, and happy (early) birthday! I tried to buy, but got the error “This payment cannot be completed and your account has not been charged. Please contact your merchant for more information.” from PayPal. I’m a bit disappointed that I may miss out on the offer now. Will you be selling the PDF and guides alone? I want to buy the book in hardback form. When i buy it now, do I get that or is it only available as an ebook? Hi, I have tried several times to pay by both paypal and credit card but it keeps bringing me back to the first page. I am in Australia, could this have anything to do with it? I’m really interested in reading your book, as I was diagnosed with having Poly cystic ovaries, but was told that all my blood work falls in the normal range so I am not diagnosed with the syndrome. The other symptoms I have are hormonal acne, (which was completely gone while on BCP) stress, and miscarriage. So despite not having the “syndrome” I know there’s something going on! Hope to start the book soon.